The Jewish people have two sets of law, which complement and complete each other; the written law and the oral law. The written law is the Torah, the five books of Moses, they contain the laws of the Jewish people, all Jewish law is derived from these ancient books. The Oral Law is just as old but it was never written down. These are the laws given to Moses at Mt. Sinai, the spoken word; the interpretations that explain and amplify the written law, the books of Moses. The oral law is alive, thus it was never meant to be written down. Once something is written it becomes unchangeable, it becomes rigid, it becomes dogma. The principles, concepts and foundations of Judaism are written in the Torah, the five books of Moses, but the principles of how to apply them, the living organism, is the oral law. Thus it was never meant be written down. A statue cannot grow, a living person can grow. The law of Israel is alive. It is said the God showed Moses future rabbis, they were studying his book and applying the Torah. They were coming up with new interpretations and applications and Moses did not understand. He was sad because there was so much that they knew but he did not. God comforted him, these future disciples are continuing the tradition, a tradition that Moses that began with Moses and God. They growing in a way that Moses could never have imagined. The point here is that Moses himself was the origin but he could not see where the future rabbis would take his law. They took the concepts, the principles, which are eternal and true, and they applied them to future generations. Application, adaptability, adjustment; these make the laws more than just history. The Bible says not to kindle a fire on the Sabbath day, but what about electricity? What about technology or medical issues that did not exist in the days of Moses? How do we know what to do? The rabbis of each generation apply the law. They have studied these laws that have been passed down from teacher to students since the days of Moses himself. They are experts in this oral law and they have the authority to apply it to changing circumstances and new realities. It takes knowledge and wisdom to apply the law in every generation. Each and every generation faces new realities and new challenges. The law was not meant to be written down because then it would become inflexible, it would lose its elasticity, it's pliability. Each one of us changes from day to day, our reality changes, our circumstances changes, but the principles of life and truth are eternal. When we do a technique in IKI Krav Maga we know it will never be exactly the same twice. Even for the same person it will rarely come out exactly the same. Certainly for different people; different sizes, different ages, different abilities, things will come out differently. That is why we do not have anything written in stone, for that would make it inflexible. Our teachers knew this nearly 4,000 years ago. The written book is finite, the oral word is infinite. We understand that with self defense there are an infinite number of possibilities but only a finite number of techniques. It is our job to apply those few concepts and techniques to all situations that come our way. We must keep our Krav Maga "Alive". 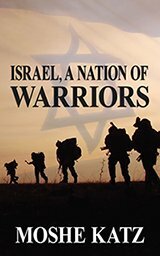 The fighting history of the nation of Israel, from the days of the Patriarch Abraham to our heroic Israel Defense Forces.